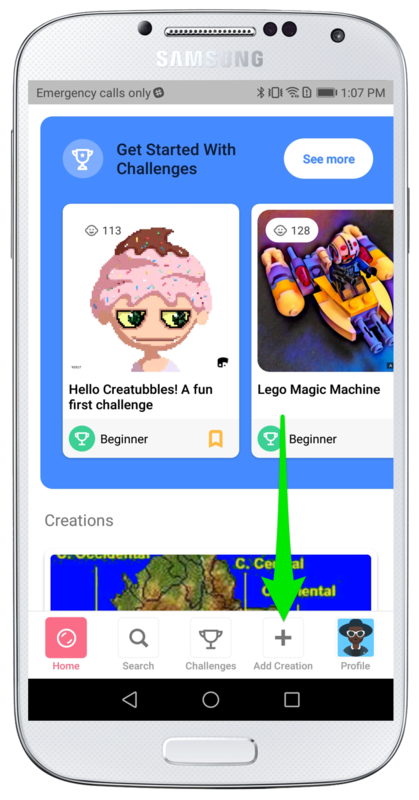 On Creatubbles, anyone can create a Gallery as long as you have an account. Gallery is like a folder. You can create a gallery for different themes, or for different projects. Find your own unique way of using a Gallery! In this article, you will find the instructions on how to create a Gallery. 2. Select "Add a gallery"
3. Add a title and description of the Gallery. 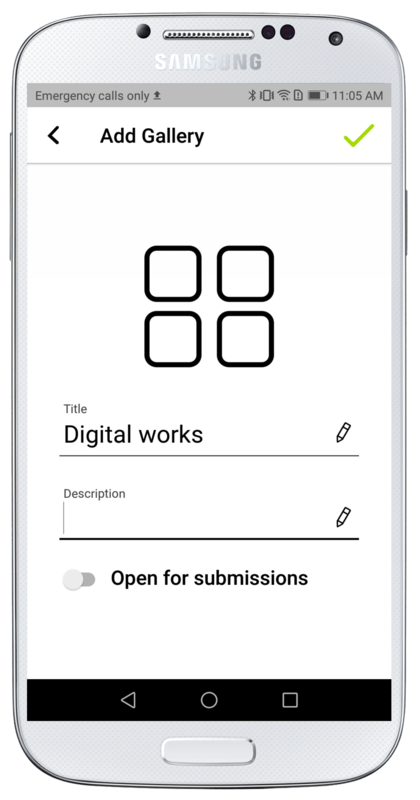 If you want other creators to be able to add creations to the Gallery, tap on "Open for submissions" to turn it on. When you are done, tap the check mark on the upper right corner to complete! The first creations posted to the Gallery will become the icon of the Gallery. Please be mindful of this as the icon cannot be changed at a later time. 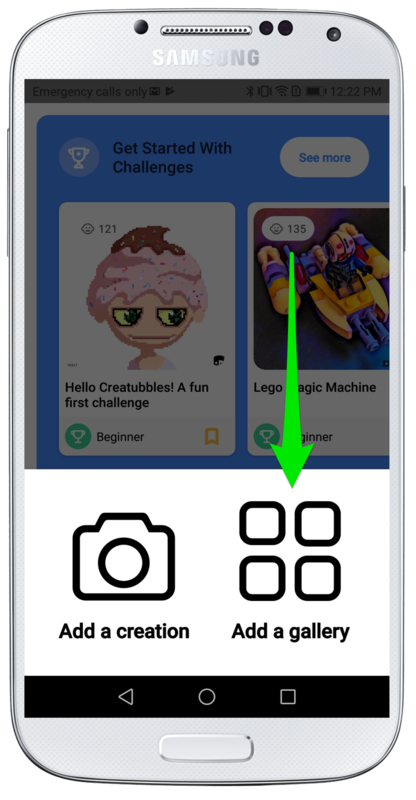 An empty Gallery will not be visible for other users via search. Please add at least one creation in order for the Gallery to show up in the search result.